Samsung Electronics has received its yearly audit, and the results released the other day show a breathtaking amount of research and development spending. How much? Well, how do $13.8 billion sound to you, almost three times as much as Apple invests here. Yep, that jaw-dropping amount has been ploughed into everything - from new memory tech and factories to make it, through flexible AMOLED displays, to state-of-the-art mobile chipset production. Naturally, a sizable chunk has gone into developing the Galaxy S6 and S6 edge, too, and, judging by our hands-on experience with the devices, Samsung might just have a return on that investment this year. The $13.8 billion R&D amount accounts for the whopping 7.4% of Samsung's total sales, rising 3.7% compared to the previous year, despite a 10% drop in overall sales. The increased R&D sum came from cutting marketing expenditures, meaning that Samsung is bunkering down for some exciting product launches ahead, too. The S6 really shows the result of all of this R&D ! Great job Samsung ! A real and great Tech company. Kudos to Sammy for all the great innovations through their R & D.
Its almost perfect. I hate for the small battery though. 7.5mm and 3000mAh battery would had been perfect! Other than that the handset is a gem! Apple on the other hand have set a 2Billion Dollar budget for Lawyers. that's why I get happy when samsung phones sell well, cause I know where some of that money goes. I agree I wasnt blown away by the Note 4 Edge, but the S6 edge is flawless IMO. Depending how it does on battery life. thats pretty impressive. i wonder what next years tech would be. foldable phones in the making?! The best display on the market, the most powerful stable SoCon a phone, innovative curve display, the best camera in phones, revolutionary UFS 2 and all that packaged in a sleek design. Good job Samsung ! Don't forget the new CRAZY FAST memory sammy has built. Also most phone use samsung made storage in their devices as well. The future is bright for you my dear Sammy,take note other OEMs specially yes i am looking at you Apple !! Whenever I see Samsung news, it's all about what they developed or what they invented. Whenever I see Apple news, it's all about how many it sold. Life's unfair. No, it is perfectly fine. Some companies aspire to post huge numbers and they achieve just that. Some companies aspire to make a huge difference in the world and they achieve that. Apple makes tons of money because that is all that matters to them, Samsung makes a massive difference and pushes the world forward because that is what matters to them. Not even remotely close. Apple fan has the record of selling their kidney to buy iPhone/iPad, N.H. cops taser a Chinese woman who bought too many iPhone and the list goes on... Now they are going for new record of paying $17,000 for a geeky looking mickey mouse watch that has a battery life of 18 hours and a lifespan of 18 months before the battery is totally wracked! Not forgetting a Apple troll, by the nick of bucky coming to crash every Samsung article. Life isn't fair, but it is consistent. Samsung is about to see the fruit of it's labor borne out with the release of the s6, which is technically more advanced than anything Apple. And the S6 components, from UFS 2.0 to the 14nm finfet process to new LPDD4 modules, etc. These will make a ton of money for Samsung as well, and are already making their way up the pipeline as components for the iPhone 7 and other manufacturers as well. Look I am an android fan and I have never used any iOS products but still I can say that even Apple is very good at what they do! For example with their dual core processor and 1GB ram chipset, they are giving snapdragon 805 with 3GB ram a run for its money! People can say that due to low res screen but that is not the right thing. Also the touch screens and the colour representations of the screens are very impressive, the reason we dont hear about them is because Apple dont brag about chipsets in particular but when tech sites review their hardware they find that it is equally good. At the end of the day it is all about the sales and they brag about that which is not a bad thing. You can have the best performing product in your hand, but if it doesnt sell, then it isnt worth all the hard work! So inspite of being an android user, I can definite say that even Apple does a lot of good work and yes even I dont think that their prices are justified but it is their company, so they can do whatever they want. samsung's revenues are huge that they can afford to splurge on R&D unlike some other companies where profit is "everything"
This is why Samsung is the primary and only competitive alternative to Apple. They not only release quality products, but they actually put the researching and engineering behind all the components that goes into making its product top notch. The changes are simply massive, they see Apple's new product line as a threat and now they are also aware that they simply aren't the only brand in the Android space that occupies presence. All of these realizations have Samsung to deep further into their expansive array of talent and their well-funded assets and put out products that are currently unmatched. I see all the results of this R&D being reflected even further in the Note 5 and the Galaxy S7 down the line as well. They actually read what's published about them in the news, they have analyst scouting general opinion and mood; they aggregate user feedback through surveys and they take the most important and typical complaints and factor that into the next product. Keep up the great work, this is why I admire this company, they are not afraid to test the water's with new tech idea's.. This only plays into my views that Apple "mostly" researches and developes on technology already in place and then charges a king's ransom for its prouducts. But, I also feel Samsung spent an enormous amount of money on a product that doesn't constitute a one size fits all bill. Many of us left other manufacturers in order to enjoy the accessibility of batteries and SD slots that Samsung cornered the niche on. 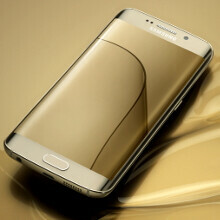 With all this money, Samsung couldn't design a well built, elegant handset that leaves accessibility in place? Samsung will not get my money this time around to recoup the money it spent on just trying to follow status quo. John B.